Glycerin rivers are more visible with Pigments, especially Titanium Dioxide. That’s because they’re more dense than Micas and Lab Colors. 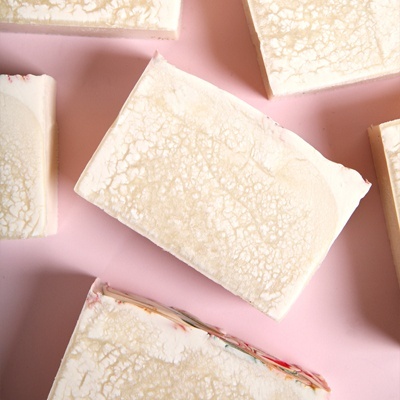 Mix your colorants well before adding them to soap, especially if you’re using pigments. We recommend a ratio of 1 teaspoon of colorant mixed into 1 tablespoon of a lightweight oil like Sweet Almond Oil. 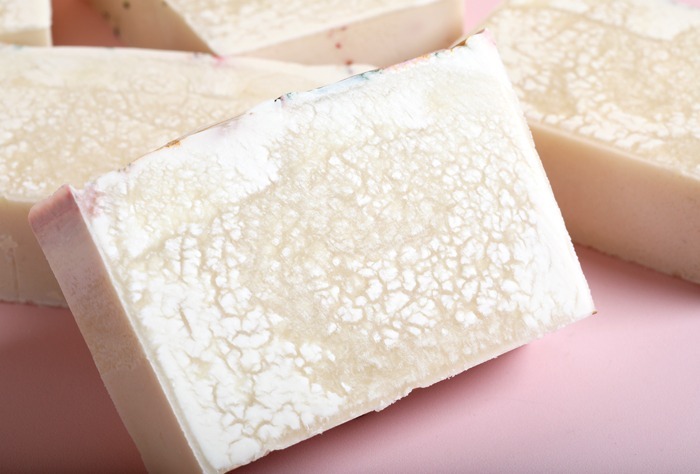 If you’re using Titanium Dioxide, it helps to disperse it in oil rather than distilled water. 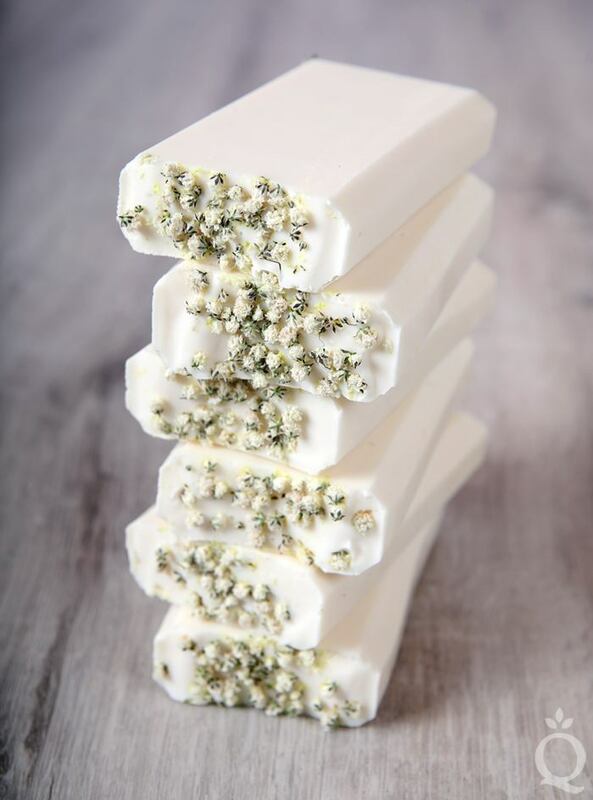 This Baby's Breath Soap shows that you can create bright white bars with no glycerin rivers.